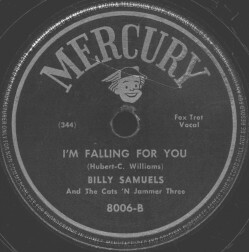 Above Left: This is the first of nine records by Cats 'N Jammer Three, all released on Mercury in 1946-47. 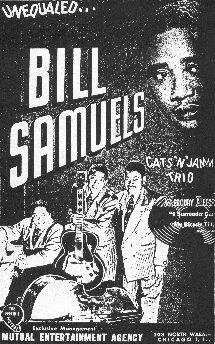 This came out about the same time as The Ink Spots' version... not sure which was first. 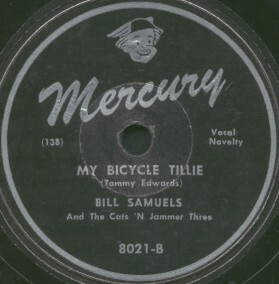 Above Left: "My Bicycle Tillie" released on Mercury 8021 in 1947, their fifth record. This definitely was prior to The Swallows' 1953 version! 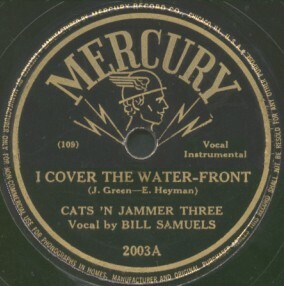 Click on an option below to listen to "I Cover The Water-Front" using RealPlayer. Click on an option below to listen to "My Bicycle Tillie" using RealPlayer. Above Left: Label for Mercury 2021A... see medley below. 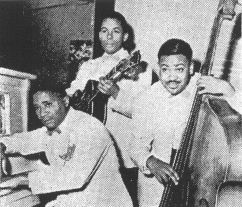 Regarding the medley, "That Chick's Too Young To Fry" was released the month after The Deep River Boys' version. FOR ANOTHER SIDE BY CATS 'N JAMMER, PLEASE CLICK "ONE HUNDRED YEARS FROM TODAY".